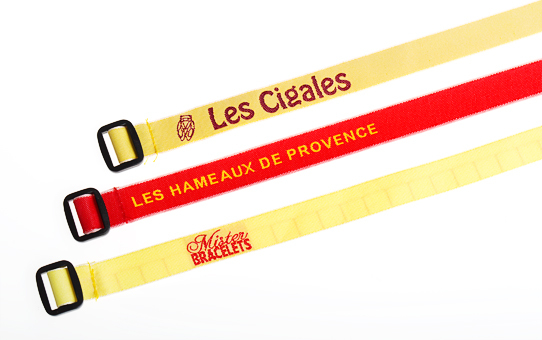 The specialist for fabric ID wristbands ! Countless customisation options ! High quality, 100% polyester fabric wristbands. Hard-wearing woven fabric, heat-sealed at the edges to prevent the wristband from fraying. Up to 3 woven colours per wristband. Colour woven into one side only of the ID wristband. 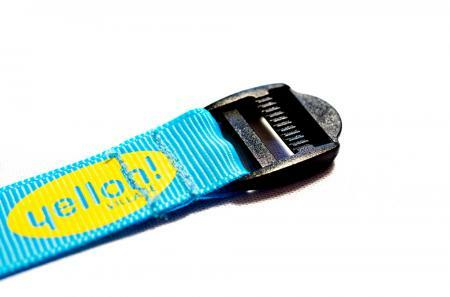 Wristband is closed with a reusable plastic fastening. Wristbands are closed by passing the fabric through the buckle. 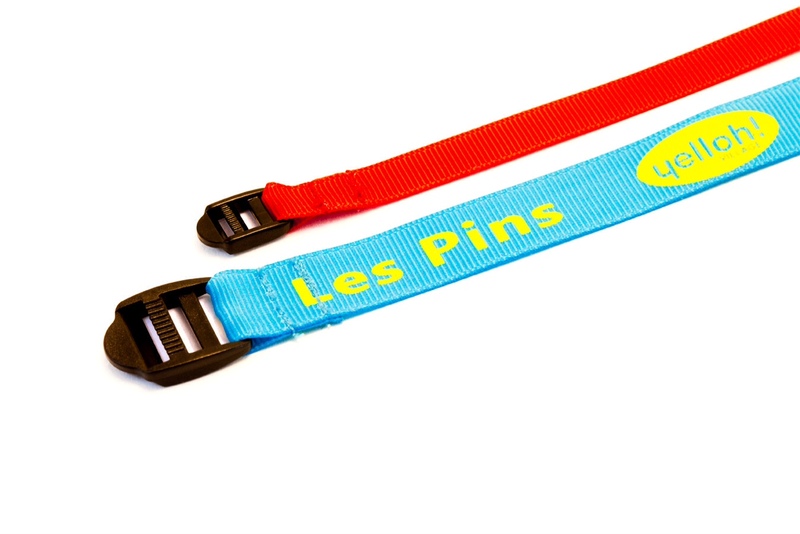 This ID wristband is ideal for owners in residential campsites or PRLs, or as an easy way to control access to swimming pools. Your customer's comfort is guaranteed as they won't even feel the ID wristband! As it's made of fabric, it also avoids the risk of an allergic reaction. 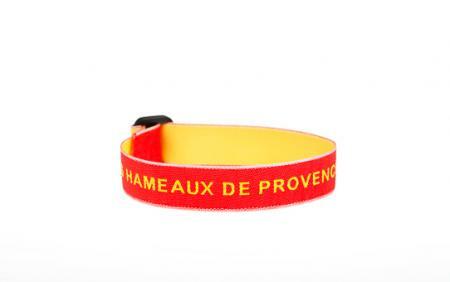 Wristband width: From 1 cm to 1.4 cm. Fastening: Integrated into the wristband - your customers just buckle the wristband whenever they wish! Supplied in: Minimum 300 units. Colour: The choice is yours. Please use the quote form to request more information about this product.